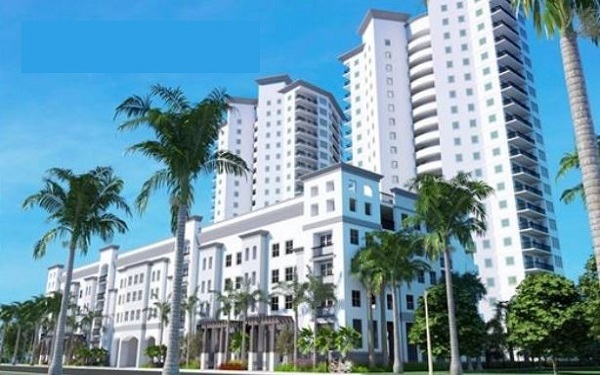 Allure is a new luxury high-rise condominium community in downtown Fort Myers Florida. Two 32-story towers features 292 river view condominiums. Priced starting in the high $300s offer one, two or three bedrooms, with private entrance elevators, and covered garage parking. 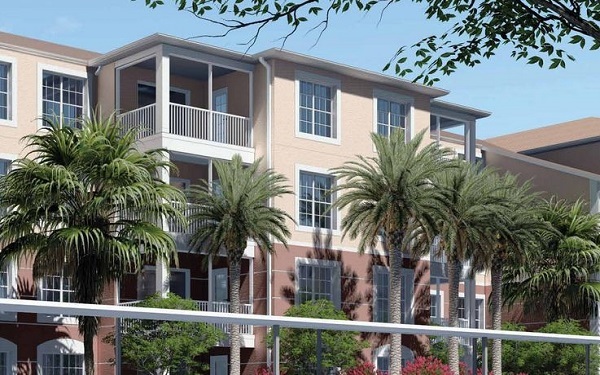 The project is located just off 1st Street in downtown Fort Myers. Arborwood Preserve in Fort Myers Florida is a 332-acre gated community with 73 acres of lakes and more than 20 acres of preserves. The plan is to build 870 homes. All amenities are in. Single family homes and condos by Lennar from 1,677 to more than 3,867 square feet of living space. 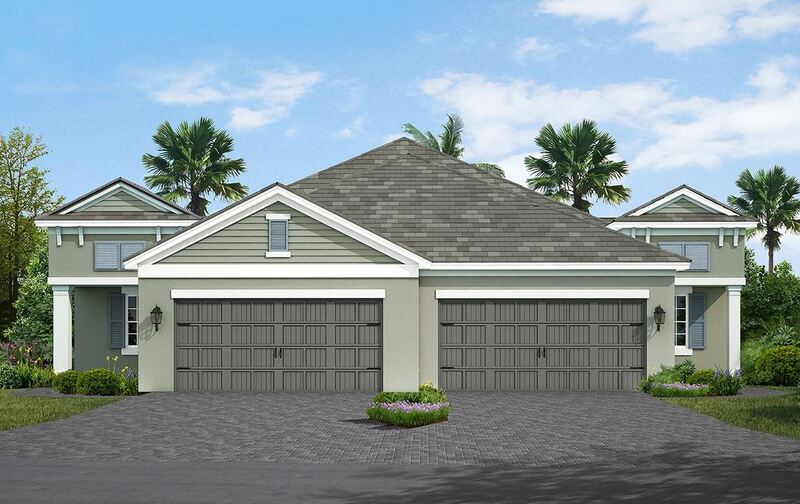 Bonavie Cove, a new gated community coming to Fort Myers Florida will be offering twin villa homes and amenities will include a community pool and cabana. The community is located just off Plantation road, south of Colonial Blvd in Fort Myers with easy access to the downtown area and I-75, offering numerous shopping and dining opportunities. 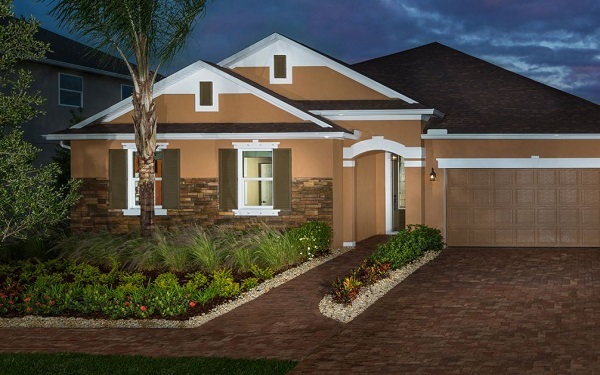 Bridgetown at The Plantation in Fort Myers FL features new construction of single family homes by Pulte Homes. The new community is located on the north side of The Plantation golf community and is known as the "non golf" section of The Plantation. Located just off beautiful Treeline Road and just a short drive to The Forum shopping mall and Southwest Florida International Airport in Fort Myers. 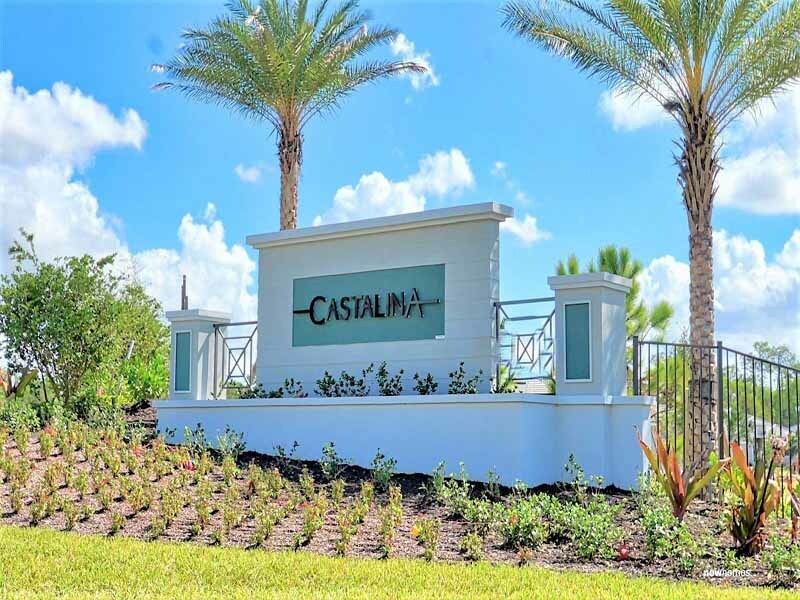 Castalina in Fort Myers Florida is new gated community by Lennar and will include single family and attached villa's. Amenities will include a resort-style swimming pool and cabana, a mixed-use sports court, a playground, and greenspace. Castalina will include two secure gated entries. Located off Winkler Road in Fort Myers. Coastal Key in Fort Myers Florida, now sold out of new construction, is a gated single family home community. Located just off Winker Road, within a short drive to Fort Myers Beach. Low HOA fees. Easy access to nearby shopping, dining and other amenities. Features a beautiful nine-acre lake with almost 30 acres of wetland preserve and green areas. Most homesites have a lake or preserve view and the community is adjacent to the Estero Aquatic Preserve. 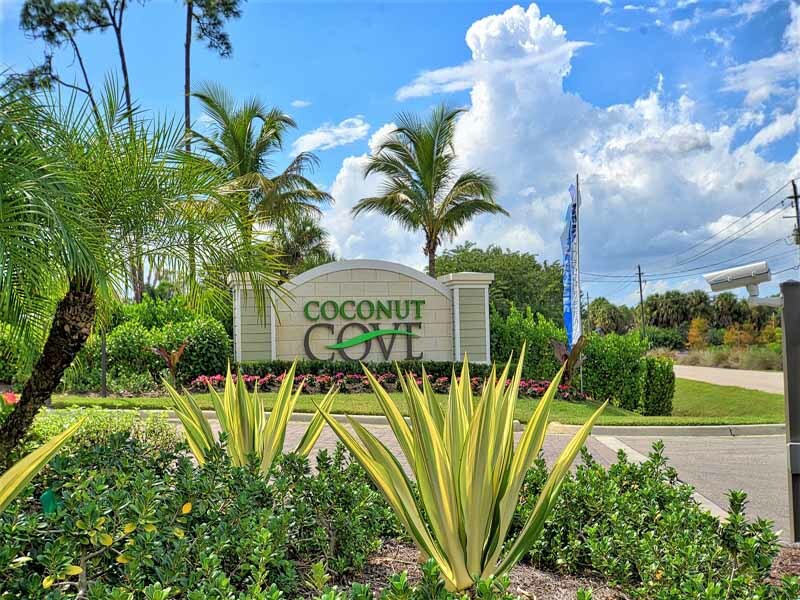 Coconut Cove in Fort Myers Florida is a new gated community, consists of just 47 single-family homes on a 17.7 acres. Home sizes range from 1,812-2,912 sq ft and offers natural gas. Located just west of US 41 in Fort Myers. 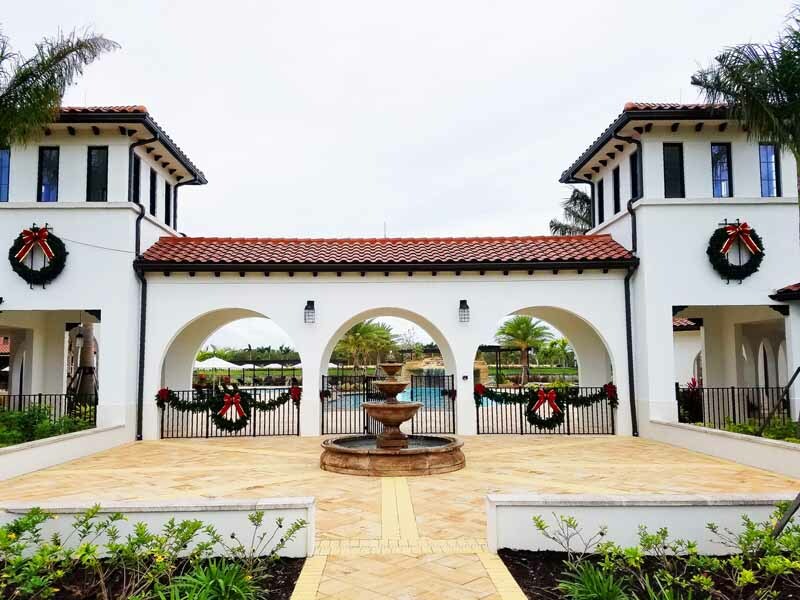 The Coves of Estero Bay in Fort Myers Florida is a new single family home community with amenities that include a private gated entrance, community pool and air-conditioned clubhouse. Close to Fort Myers Beach, Lakes Regional Park, Estero Bay Preserve State Park and a variety of local golf and country clubs. 211 total homes. 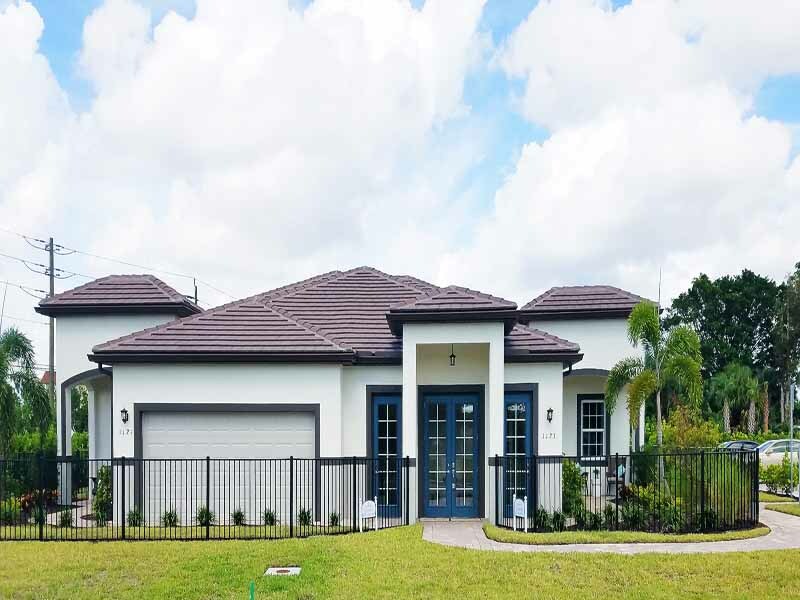 Cypress Walk in Fort Myers Florida features 114 single-family homes, 3 lakes and a 13.59 natural wetland preserve area. Home range from 1,772 square feet to 2,577 square feet, from 3 to 4 bedrooms with one and two-story options. Cypress Walk is also across the street from the popular Six Mile Cypress Slough Preserve with its 3,400 acre wetland ecosystem. The community is just off of Six Mile Cypress in Fort Myers. Daniels Place in Fort Myers Florida, is a new gated community on 50 acres and will consist of just 85 single-family homes. The Cove Series home plans will be featured offering living areas ranging from 1,870 to 2,379 square feet with two, three and four bedrooms, two and three-car garages, and Mediterranean and French Country style elevations. Lake and preserve view home sites are available, and lawn maintenance will be included. There are two model homes at Daniels Place. The Eventide offers two bedrooms, two baths, a den, a two-car garage and 1,870 square feet under air. 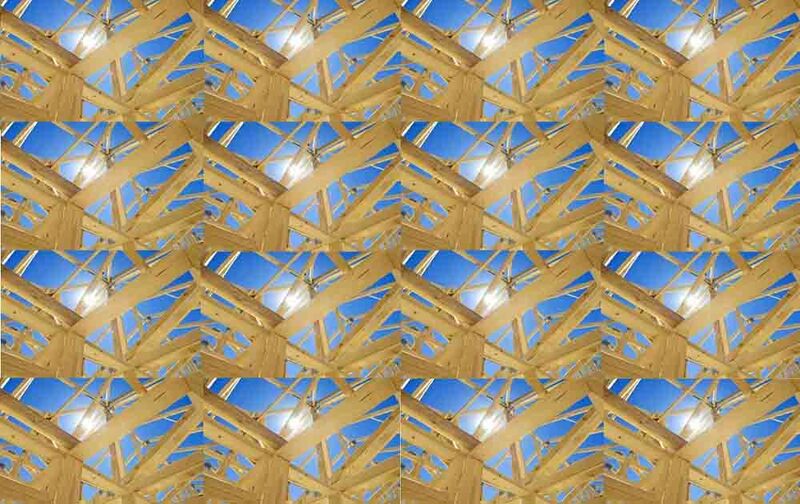 The 2,288-square-foot Bright Meadow model will feature three bedrooms, two baths, a den and two-car garage. Daniels Place includes 8.4 acres of natural wetland preserve and a nearly three-acre lake. Eagle Reserve is a new gated community that is coming in the spring of 2019. Located just off Colonial Blvd, 2.5 miles west of I-75 and 2.5 miles east of US 41, and will feature a gated entry, amenities and single-family homes. 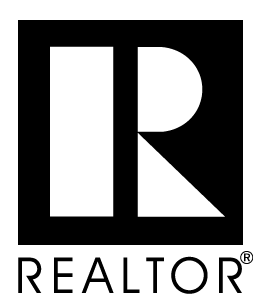 Offering open floor plans, 1,500-4,000+ sq ft.. Prices are expected to start in the mid $200's. 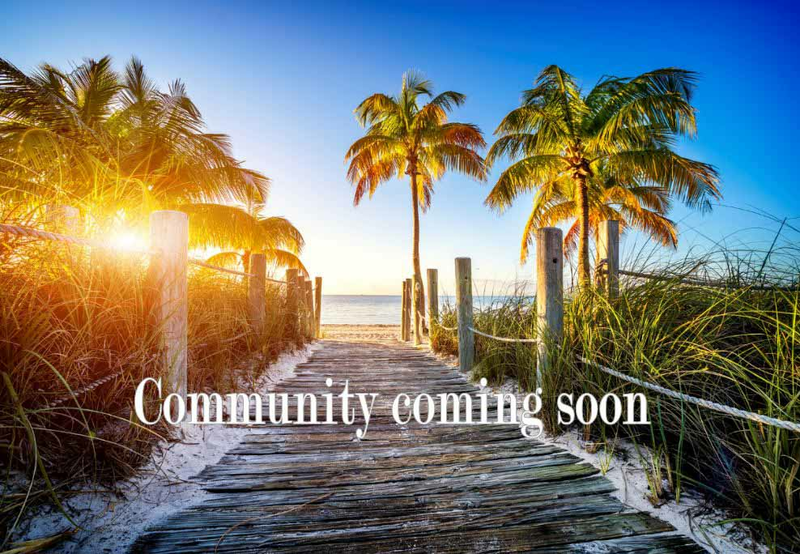 Esplanade Lake Club a new gated community, is coming soon to Fort Myers Florida offering villas and single-family homes. Esplanade Lake Club will offer 650 villa and detached single family homes in a community with a magnificent 352 acre lake. The lake will allow for recreational boat use, feature a lake front promenade, boat ramp, dry storage, recreational dock and the option for select individual resident boat docks. Planned amenities at Esplanade Lake Club include a resort-style pool, outdoor Bahama Bar and Grille restaurant, full-service Koquina Sand Spa with Lakeside Spa Cabana, sports courts featuring tennis, pickleball and bocce ball, walking trail along the waterfront, kayak launch, and learning center space for residents to utilize for meetings, socials, gaming and more. There will also be a full-time on-site lifestyle manager to plan special events, parties and gatherings for residents. Esplanade Lake Club is located just off of Alico Road in Fort Myers close to Gulf Coast Town Center and SW Florida International Airport. Miromar Outlet Mall and Florida Gulf Coast University is nearby. 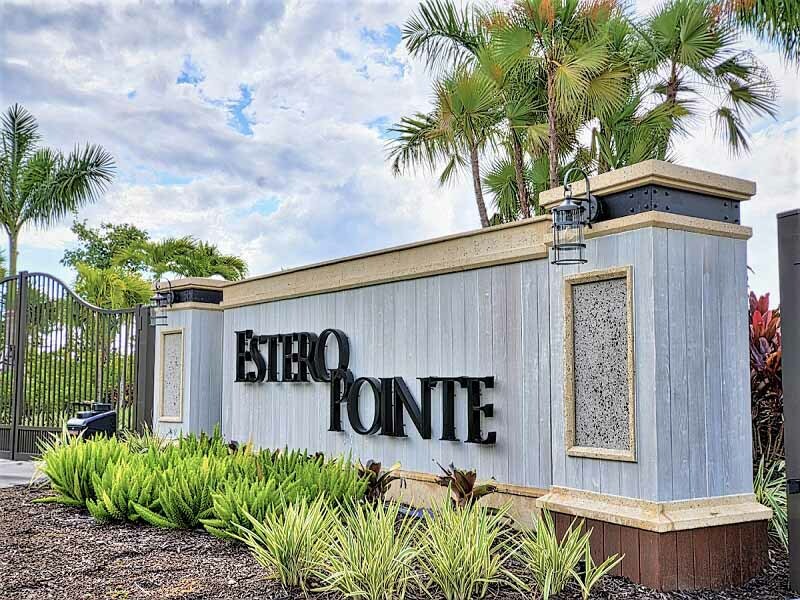 Estero Pointe in Fort Myers Florida is open for sales! New community of just 65 single family homes. Located just west of US 41 in South Fort Myers. 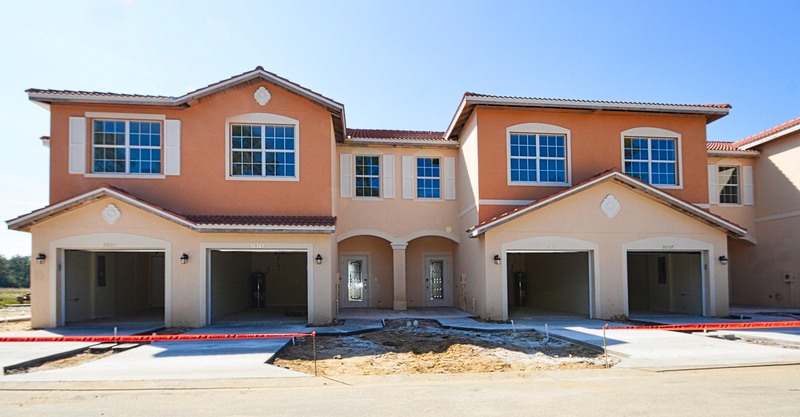 Greenwood Villa's in Fort Myers Florida features new town homes with 1,729 square feet of living area, each with three bedrooms, 2.5 baths and an attached two-car garage. Features 10 foot ceilings on the first floor, and brick paver drives. Amenities include a community dog park, fitness center, community pool, and clubhouse. Hammock Cove at Gateway in Fort Myers Florida consist of just 136 Town Homes with golf course and lake views available. Amenities include a community Pool, and poolside cabanas. Hammock Cove is located just off Daniels Parkway in Fort Myers. 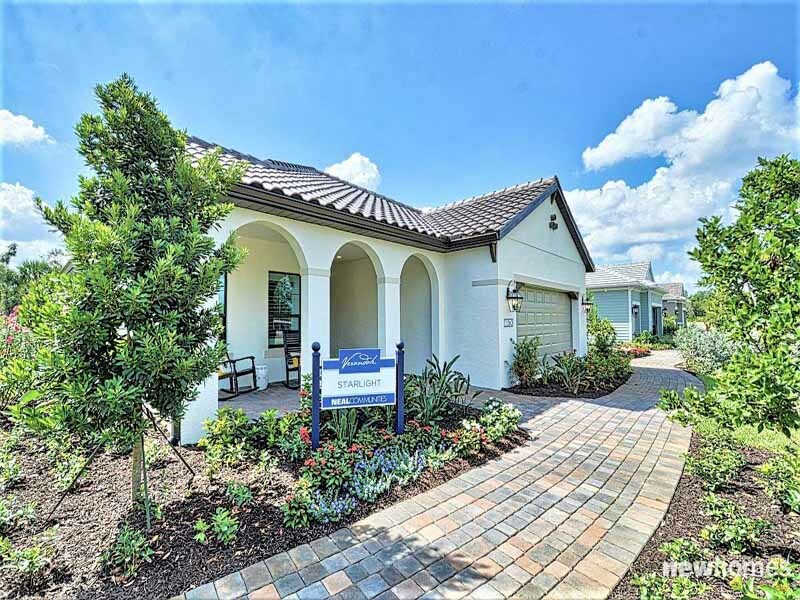 Hampton Park at Gateway in Fort Myers Florida is a gated neighborhood within community of Gateway. Hampton Park residents have access to a 5,300–square-foot Sports & Social Club which includes indoor and outdoor amenities. 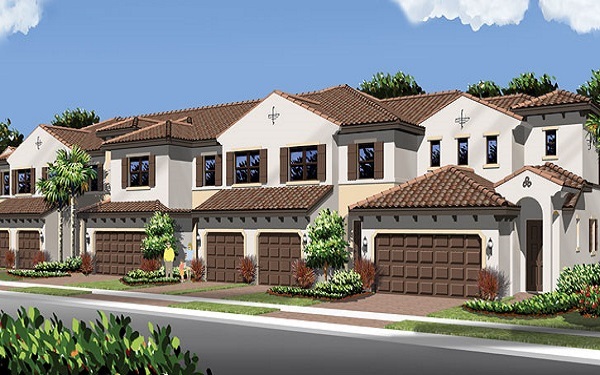 Single family homes by Lennar from 2,053-2,986 a/c sq. ft. The community is located north of Daniels Parkway in Fort Myers. 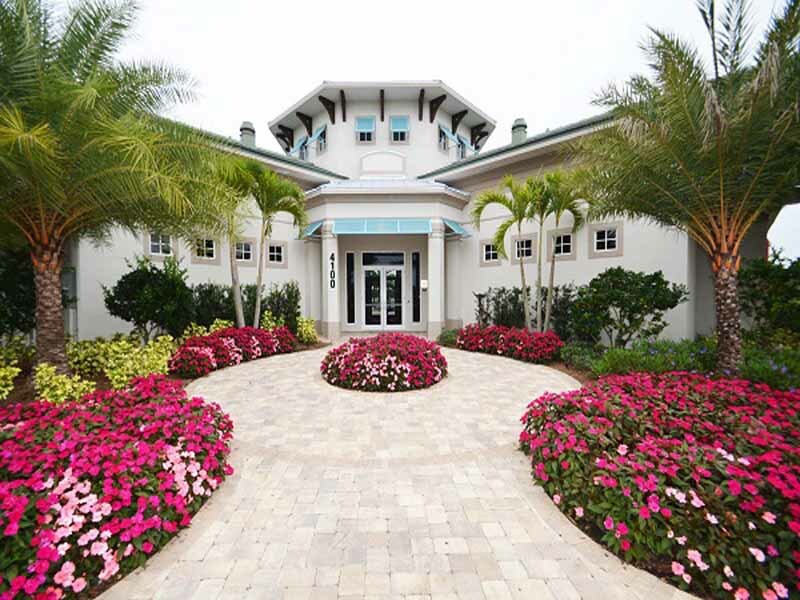 Hidden Harbor in Fort Myers Florida is located on 55-acres, with 76 contemporary coastal estate homes. 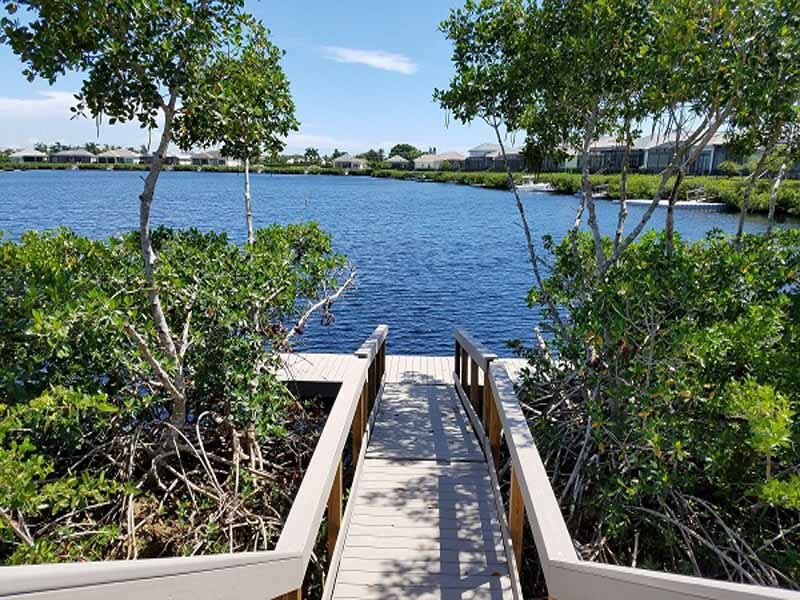 Water views, private boat slips, world-class fishing, an impressive residents-only clubhouse with beach and lawn area, fitness center, and secluded resort pool with a fire pit all combine for a lifestyle that is the perfect balance of water, nature, and luxury. From Hidden Harbor, boaters will have easy access to the Gulf of Mexico by way of Ten Mile Canal, and Estero Bay, which was the state’s first aquatic preserve. Hidden Harbor has received approval from South Florida Water Management District for a permit modification that eliminates all boat size restrictions for vessels moored at Hidden Harbor's private boat slips. If you've been searching for a luxury boating community with direct gulf access and exceptional amenities, Hidden Harbor now truly has it all, including the opportunity to moor your boat of any length in one of 52 private docks. Located just off US 41 in Fort Myers. 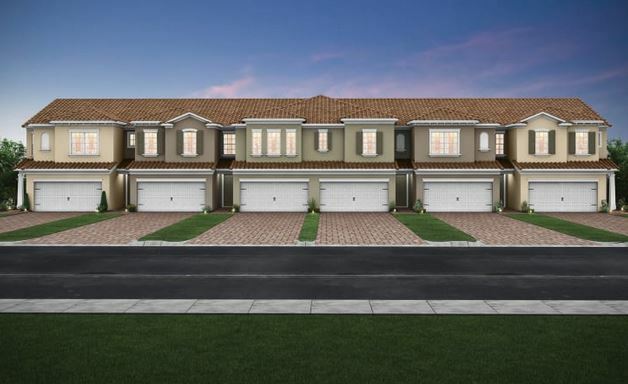 Lindsford in Fort Myers Florida is new gated single family home community will include around 700 single family homes and villa type single family homes plus about 300 town homes. Amenities include: Tennis, Clubhouse, Resort-style Pool, Playground, Bocce and Basketball courts. Spacious town homes are being constructed in the front of the community with separate amenities and separate gated entry. Lindsford is located just off Winkler Road in the Colonial Blvd corridor and close to nearby shopping, dining, and entertainment. Majestic Palms in Fort Myers Florida feature two condominium structures, each rising four stories high, with two to three bedrooms and two baths, ranging from 1,231 square feet to 1,860 square feet. Covered screened lanai’s, walk-in closets in the master suite, spacious great rooms and open floor plans. Every residence in this pet-friendly community comes with an assigned lighted covered parking. The community is located in the beach gateway area of San Carlos Blvd and McGregor Blvd. 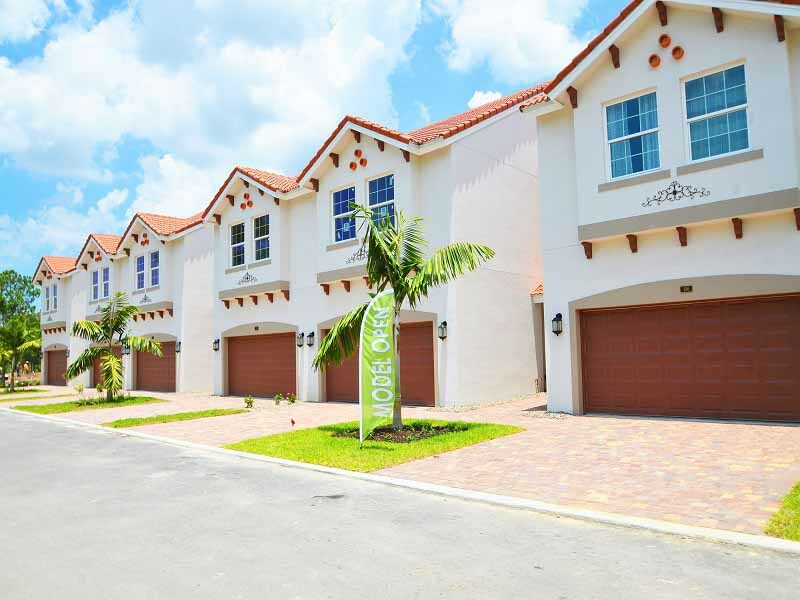 Marbella on Cypress in Fort Myers Florida feature new town homes by Lennar. Amenities include a gated entrance, a clubhouse with a community pool, fitness room and more. Located just off 6 Mile Cypress Parkway in Fort Myers. Close to shopping, airport and I-75. 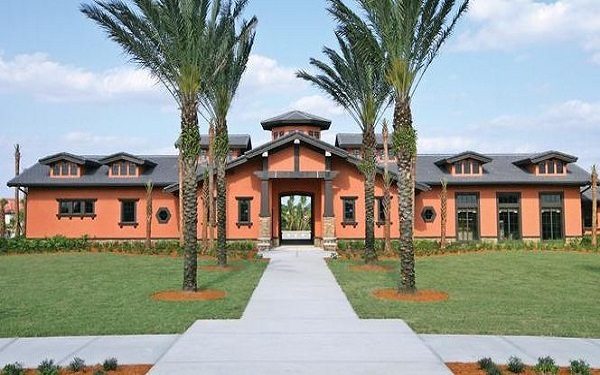 Marina Bay, is a new community in Fort Myers Florida offering villas and single-family homes. Marina Bay offers 21 home designs ranging in size from 1,430 to more than 4,000 a/c sq. ft. with 2 to 6 bedrooms, up to 5 bathrooms and 2- to 3-car garages. 13 designer-decorated models, are open to view. Marina Bay features a 12,000 square foot clubhouse with a fully-equipped fitness center, aerobics studio, and indoor sports court for basketball, and volleyball. The clubhouse also has a social hall, a catering kitchen, game room, and card room. Outdoor amenities include a resort-style pool, lap pool, tennis, and a party pavilion. Marina Bay is located just off of Treeline Avenue in Fort Myers. 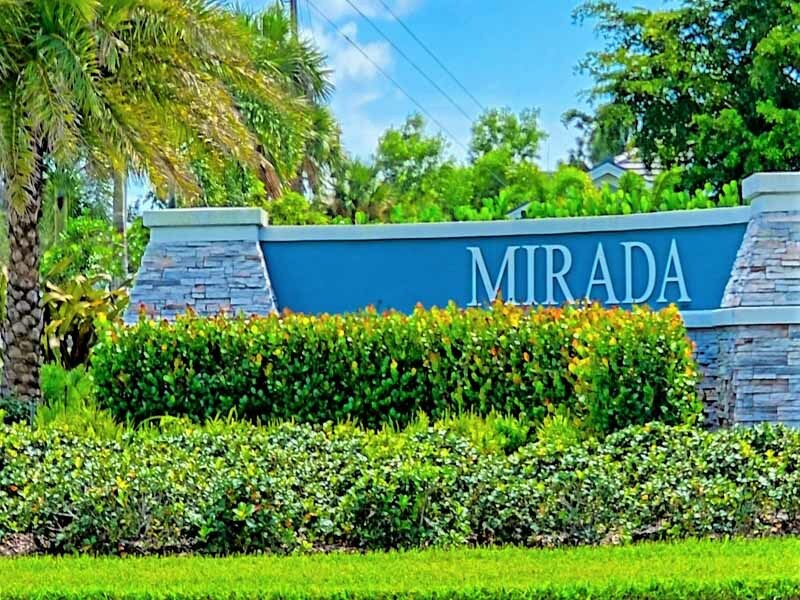 Mirada in Fort Myers Florida is a new single family home community near Health Park in Fort Myers. Solar community. Estimated monthly lease payments for solar range from $56 to $86 per month. Final closeout, just 6 Dogwood units left. 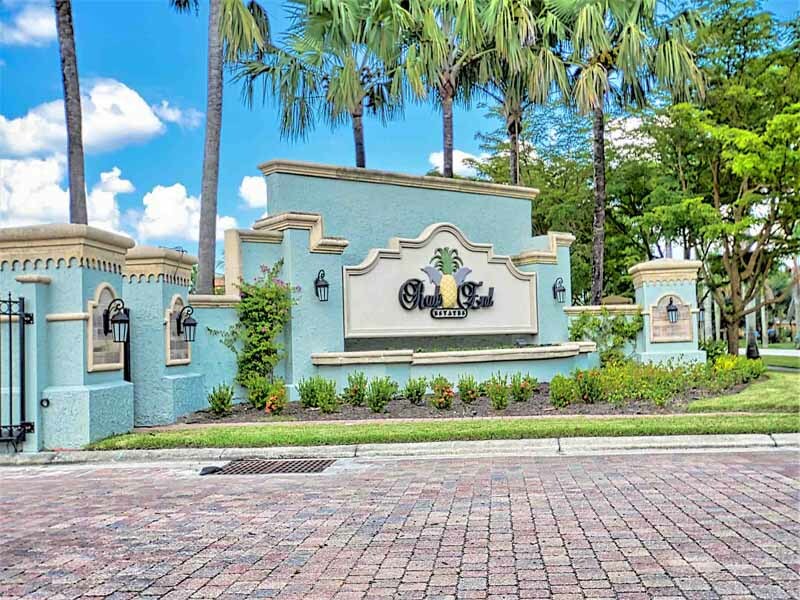 Palmetto Cove in Fort Myers Florida is a new gated community that features 200 luxury condominium homes by Lennar with amenities and clubouse. Located just off Cypress Lake Drive and close to Fort Myers Beach. 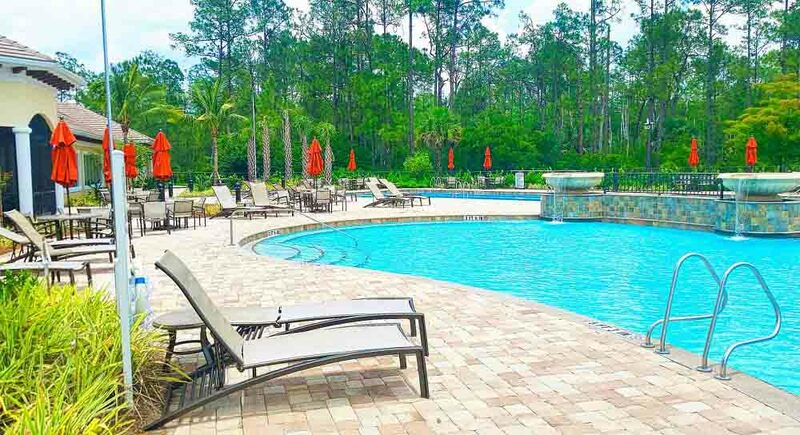 Pelican Preserve is 55+ community in Fort Myers Florida. 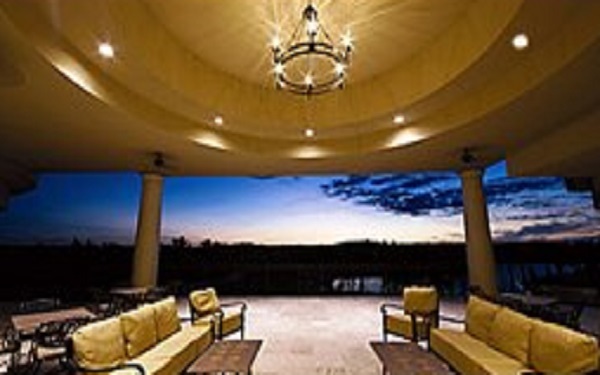 Features a 70,000 square foot clubhouse, Plaza del Sol with pool and a 99-seat theater. The 27-hole championship golf course includes a 24,485-square-foot Golf Clubhouse with its own private spa, fitness center, full-service dining and spacious pro shop. 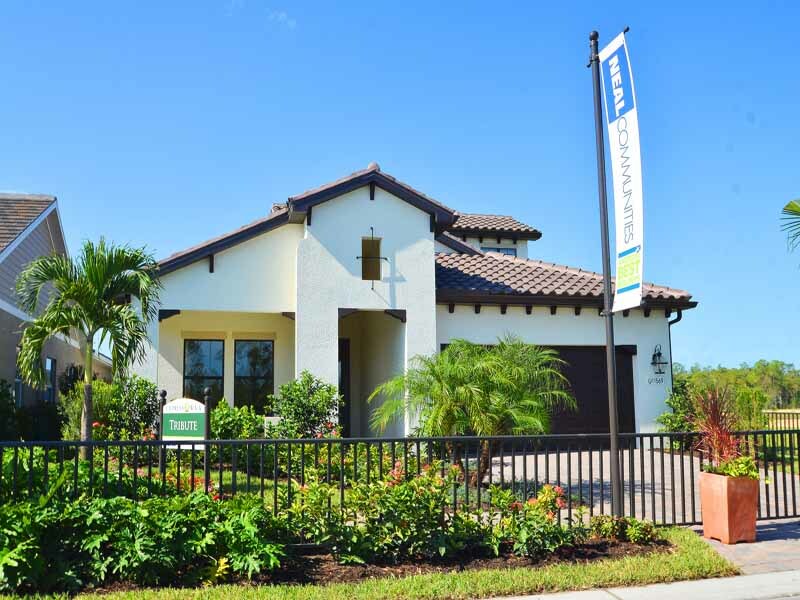 Features single family homes by Lennar. Located just off Treeline Drive in Fort Myers near The Forum shopping area. 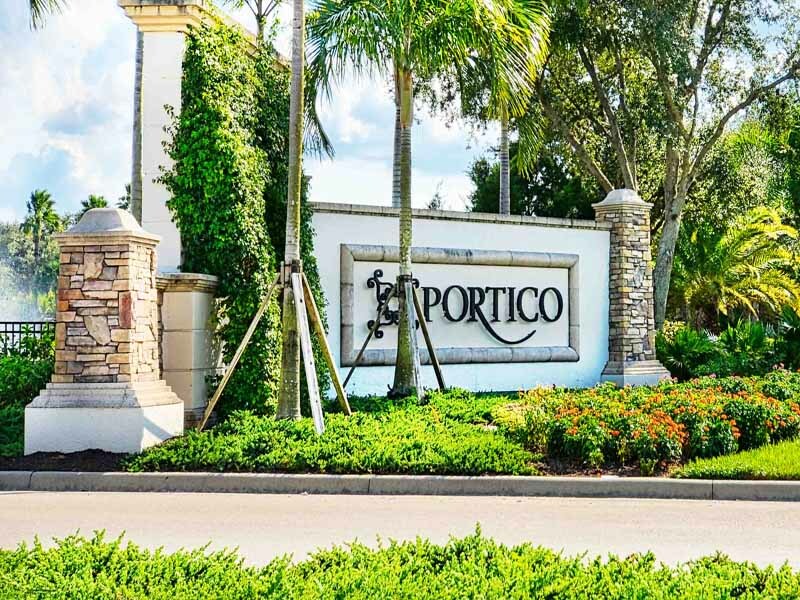 Portico is a new gated community in Fort Myers Florida. Homes include Lennar Executive, Manor, and Estate. Square footage from 1,677 to 3,231. Bedrooms from 3 to 5. Bathrooms from 2 to 3.5.
. Short drive to shopping and dining on state road 80 in Fort Myers. 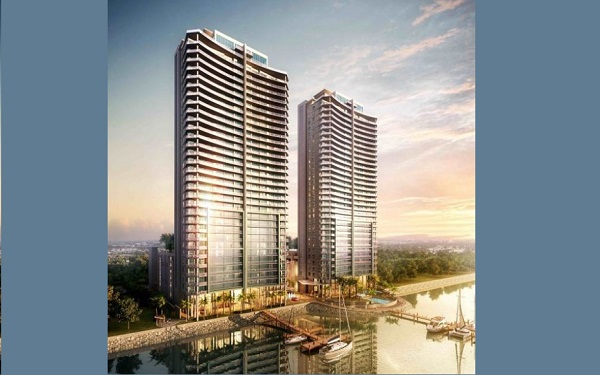 Prima Luce in downtown Fort Myers Florida is a new 22 story two-tower, 220-residence, waterfront condominium with amenities including boat docks. Located just off 1st Street in downtown Fort Myers and just minutes away from numerous dining and shopping opportunities downtown. Rails End on the river front in Fort Myers FL is a small enclave of large estate homes built by DR Horton. Rails End is conveniently located just off beautiful McGregor Blvd close to nearby shopping, dining, and entertainment. 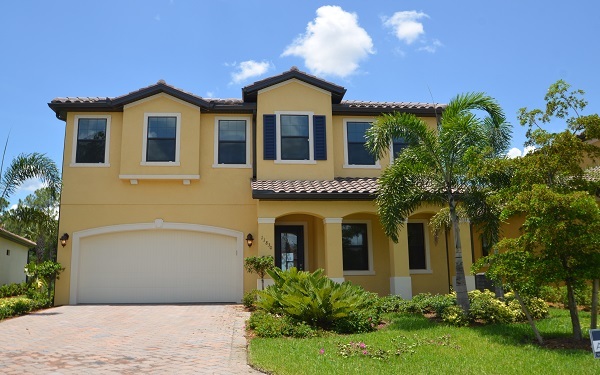 Riverside Avenue Villas in Fort Myers Florida, is McGregor Blvd's private enclave of 46 villa homes. Upgrade options include pools, spas, and outdoor kitchens. 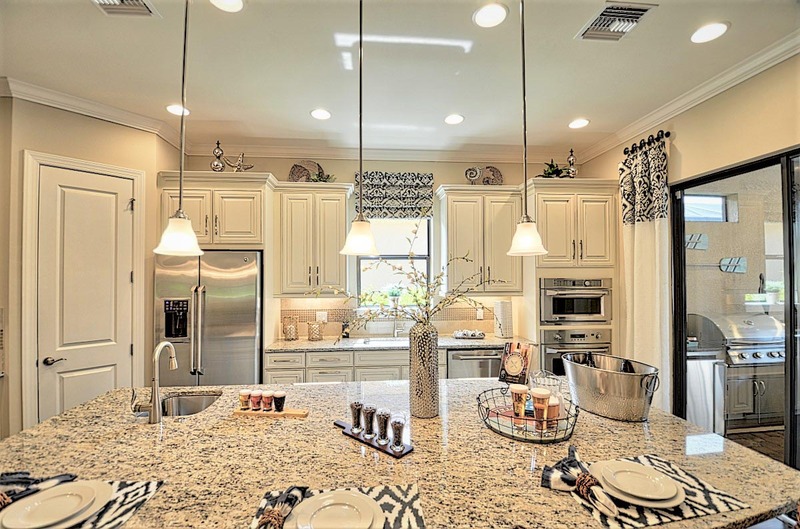 Standard kitchen features stainless steel appliances, granite counter-tops, under mount sinks and more. 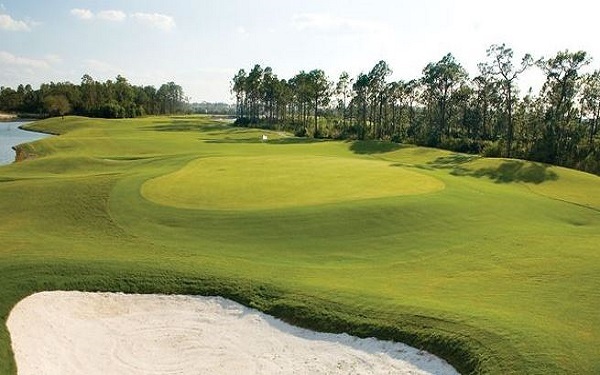 The Plantation in Fort Myers Florida features an 18-Hole Hurdzan-Fry Golf Course. Golf is optional. Pulte Homes is building new single family homes and condos. Amenities include a gated entrance resort style pool with clubhouse and more. Located just off Treeline Road in Fort Myers. Timberwood Preserve at Gateway Community in Fort Myers Florida is now sold out of new construction. Be sure to check out re-sale opportunities below when they come available. The community is located on Timbermarsh Court just off Griffin Drive near SW Florida International Airport and I-75 in Fort Myers. Venetian Pointe in Fort Myers Florida is offering single-family home designs with approximately 1,641 to 2,587* SF of living space. 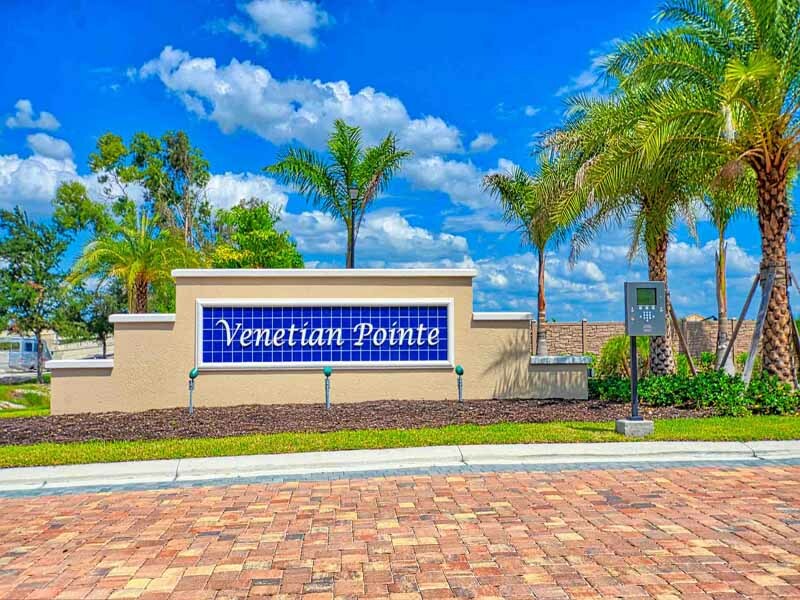 Venetian Pointe is located in South Fort Myers on the southeast corner of Summerlin Road and Gladiolus Drive. Also know as the gateway to Fort Myers and Sanibel beaches, this communities location is fabulous. Verandah in Fort Myers, Florida is surrounded by moss-draped oak trees, meandering roads and trails, and sun-dappled river fronts. The offerings include new single family homes and condos. Set on the backdrop of the Orange River, the Riverfront Clubhouse, complete with restaurant, lounge, social events, and clubs. Verandah has 2 championship golf courses. Whispering Oak course, was designed by Jack Nicklaus and Jack Nicklaus II, and Old Orange, was designed by Bob Cupp. Tennis facility includes five Har-Tru tennis courts. The full-service spa and fitness center provide members and guests with all the amenities of a world-class resort. Neal Communities has purchased the remaining home sites in Verandah. Verandah is located just off state road 80 in East Fort Myers. 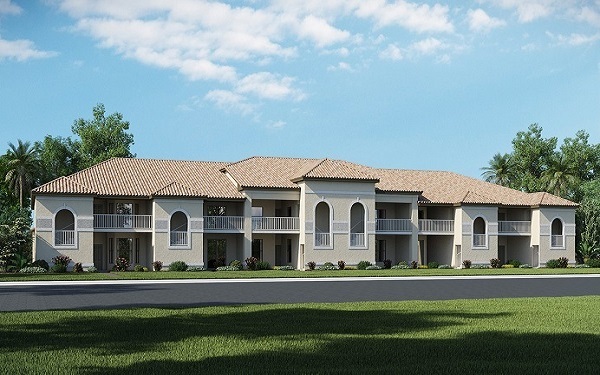 Villa Medici is a small enclave of townhomes in South Fort Myers near Healthpark. Short drive to beach. 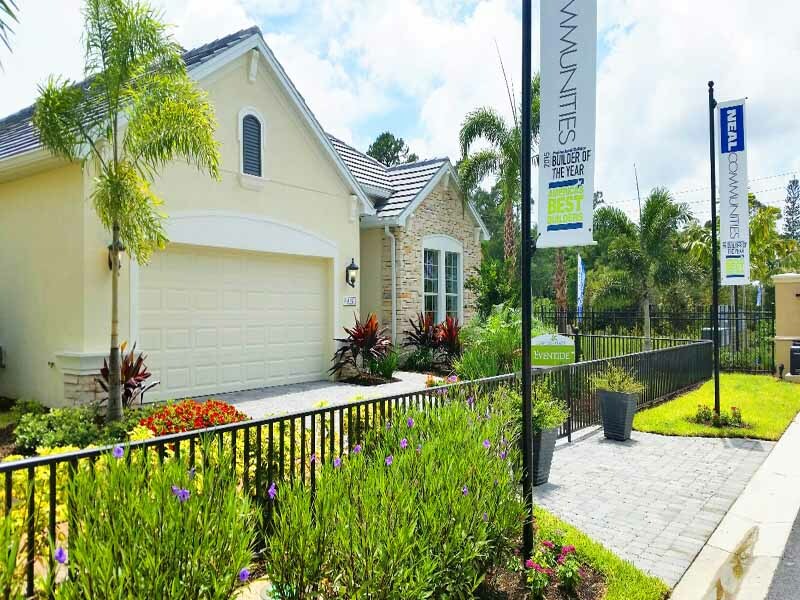 Watermark in Fort Myers Florida, is a new gated single family home community located just off Colonial Blvd. Low HOA fees. Easy access to nearby shopping, dining and other amenities. Watermark features a full amenity center including tennis, fitness center and pool. 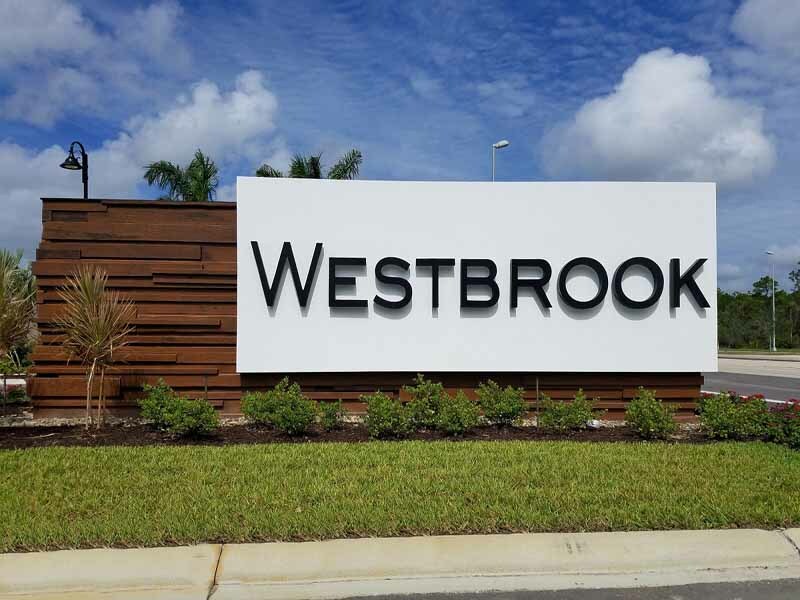 Westbrook in Fort Myers Florida is a new centrally located, gated community by Pulte Homes with approximately 345 homesites One- and two- story single family home designs ranging from 1,565 - 4,389 sq. ft. starting from the high $200's to $400's. The community will feature a gated entry, no CDD fees, and amenities including a clubhouse, resort-style pool, fitness center, and tot lot. The community is located just off Three Oaks Parkway in South Fort Myers near Gulf Coast Town Center and SW Florida International Airport. 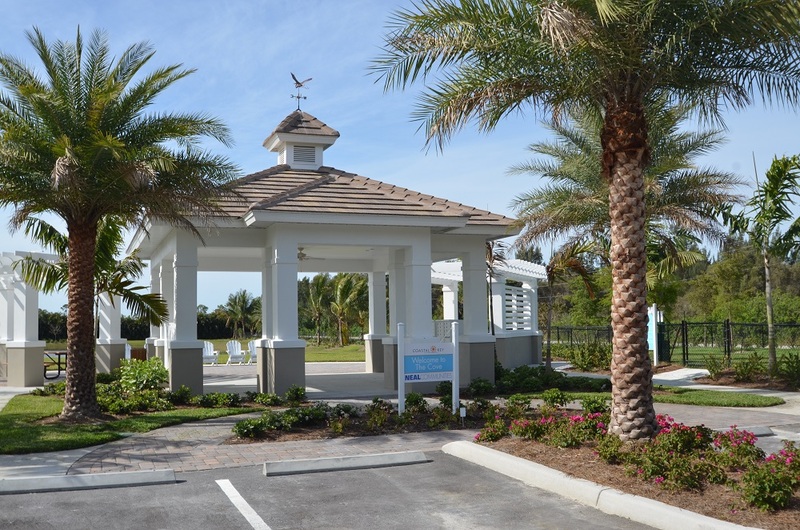 Windsong is a new attached villa community in South Fort Myers. Located just off Six Mile Cypress, this community is close to major shopping and dining at Bell Tower and easy access out to the beaches. Nearby communities include Cypress Walk and the popular nature attraction, Six Mile Cypress Slough Preserve.